Simple deletion or partitioning will not suffice. Companies must take action to leave no trace of the previous image on a device. Persystent’s erasure capabilities render the hard drive completely unreadable. In fact, data erased by Persystent cannot be recovered with any existing technology. Our proprietary and automated feature replaces any targeted data is with zeroes to ensure permanent removal . As part of Persystent Suite, users do not pay extra for this capability thereby saving tens of thousands of dollars per year in outsourced decommissioning services or software. NIST mandates that companies “must properly safeguard used media.” Simply, this means taking control of old electronic media means disposing of it in a safe, secure, and compliant fashion. These same asset control and policy enforcement requirements apply to US Department of Defense (DoD) and companies wanting to do business with the US Government. 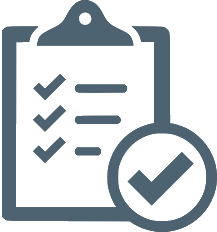 Additionally, our secure erasure support compliance for such agencies as SANS, PCI/DSS, ISO and HIPAA, GLBA, FISMA, and others. Every year IT teams supporting a modest-sized enterprise (2500 devices) will retire about 23% of its devices each year. That’s 575 machines a year containing sensitive information. The decommission process can be lengthy and, with all the daily fires requiring attention, considered a lower priority. This is why many companies ether have a stack of old devices waiting for retirement in some storage room or outsource to companies that specialize in data sanitization and hard disk destruction. Persystent makes this job easier, faster and more effective. Loss prevention remains a driving concern for many IT departments. From field employee terminations to stolen or lost devices, ensuring a drive is immediately rendered useless is not only a HR or management issue but one directly related to security and compliance. With Persystent, admins use their centralized control and remotely wipe a device. Simply identify the PC(s) from the asset console and automate the wipe from the available policies. The next time the selected PC turns on and accesses the internet, the signal will wipe the drive. Retirement and recycling is often the last stop on the lifecycle. As with the other aspects of lifecycle management, Persystent automates and streamlines the decommission processes to make them predictable, precise and repeatable. This includes the speed, reduction of complexity and accuracy in which the process is engaged, completed and finally audited.